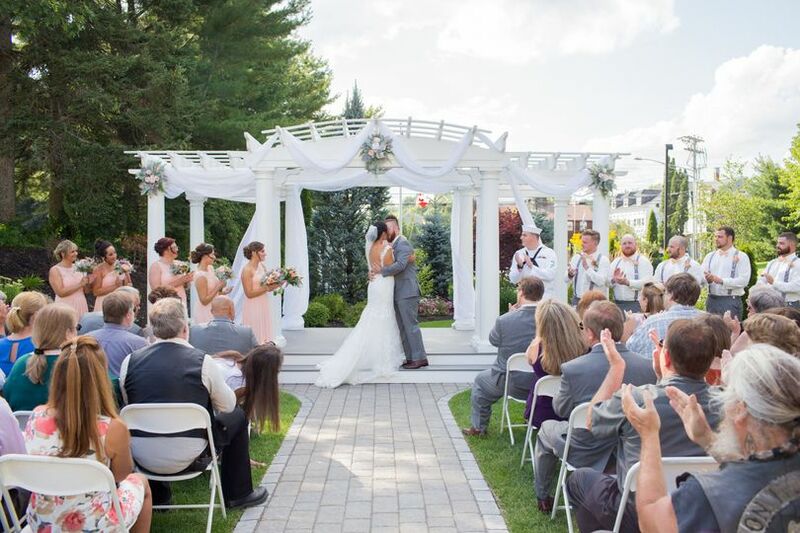 Maine Wedding Barn & Event Center is a rustic wedding venue located in Minot, Maine, which is just five minutes from Lewiston-Auburn, which contains five-star hotels, high-end restaurants, shopping malls, and theaters. Close to a vibrant city, the farm nonetheless acts as a place to get away with 108 private acres that overlook Maine Mountains. Maine Wedding Barn & Event Center is a perfect place for a secluded, elegant wedding, yet not too far for the last minute items. 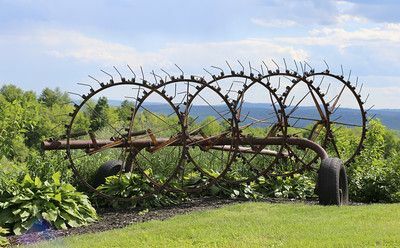 This wedding venue shows off the rural parts of Maine. 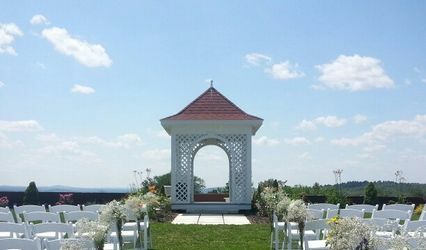 A beautifully manicured wedding lawn with gazebo and flower gardens and views of the mountains is the perfect place for a picturesque ceremony. From there, couples can host their dining and dancing in the rustic barn that boasts white drapes hanging from the tall ceilings. 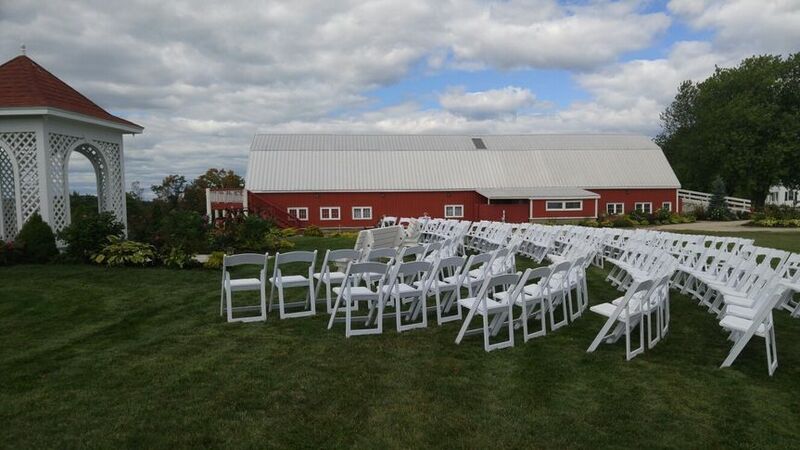 The barn can hold 200 seated guests or 340 standing guests. Lighting- 8 ceiling chandeliers, ceiling fans, and rafter lighting. Relationships with nearby hotels- giving 20% discounts to you & your guests. Day of Coordinator - equals a stress free day for you. 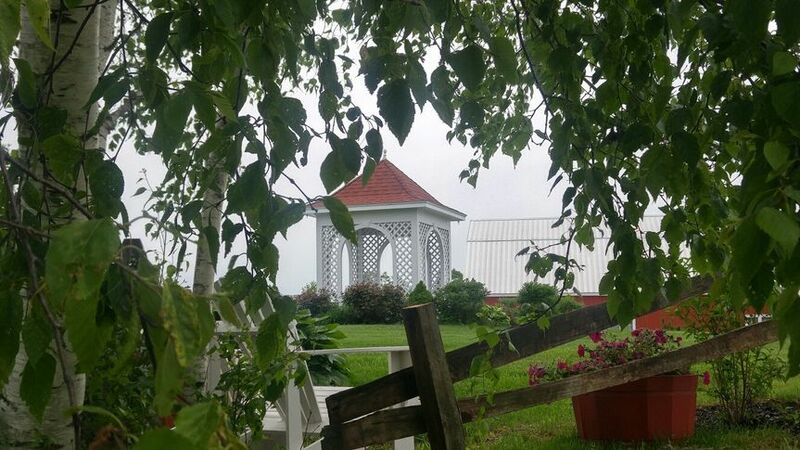 Maine Wedding Barn Gazebo Lawn. Maine Wedding Barn front entrance...kiss! Maine Wedding Barn front entrance. The Brides main entrance for all to see! Couples Swing...how romantic out among the stars. Fall foliage seen through the large back windows and deck. The Bride&apos;s aisle way to meet her "Happily Ever After" ! Maine Wedding Barn in the distance. Gorgeous wedding aisle & view. Maine Wedding Barn flower gardens. Maine Wedding Barn...a couples dance! To have and to hold...forever! Cocktail hour or all night long patio partying time! Magnificent head table with a beautiful back drop! This was a beautiful venue for a wedding. 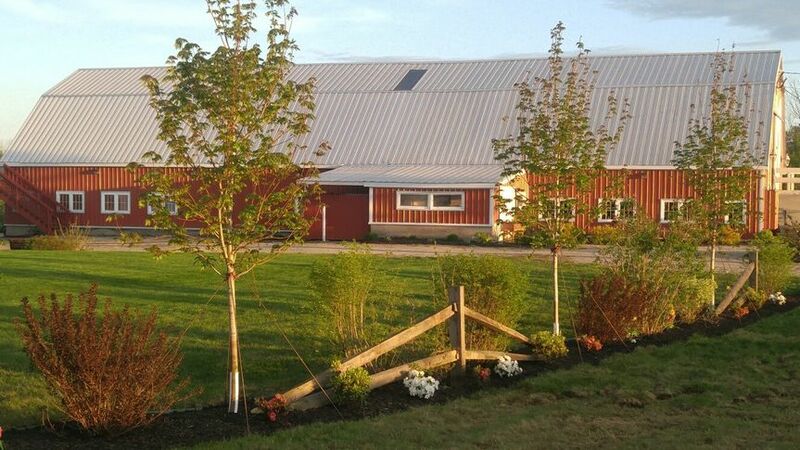 The barn has been fully restored and is absolutely gorgeous. The grounds and the views are breathtaking. The owners were very helpful and extremely nice to work with and help accommodate us in any way. I would strongly recommend this venue. It provides an elegant place but yet a beautiful country setting. Barbara and her team were fantastic! My husband and I had the wedding of our dreams! Our day was absolutely perfect! 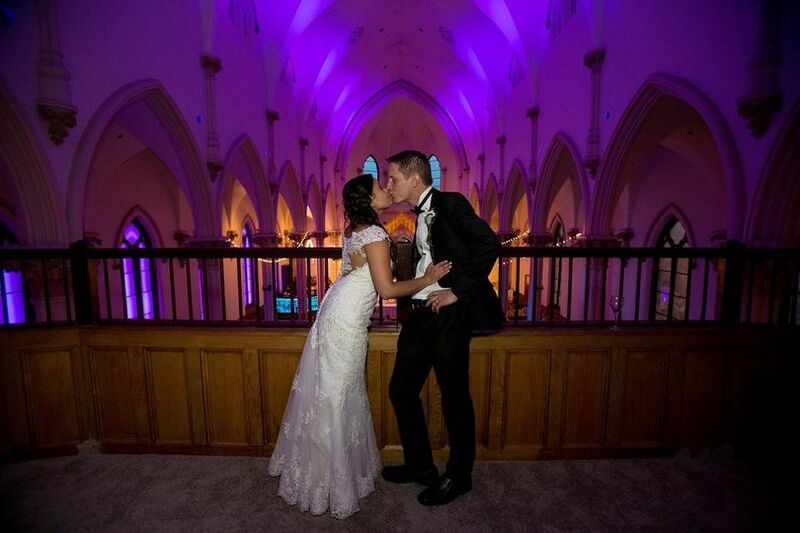 It was our pleasure to host your very special day and we thank you for letting us share in it! Barbara was absolutely fantastic & so helpful!! The venue is beautiful and accomodated our every need. Their professionalism was outstanding and allowed us to thouroughly enjoy our daughter's beautiful day!! Thank you so much Lyse! We thoroughly enjoyed hosting your daughter Taylor & New Son in Law Ronnie's wedding! Enjoy a 10% off discount when you book a Friday wedding! 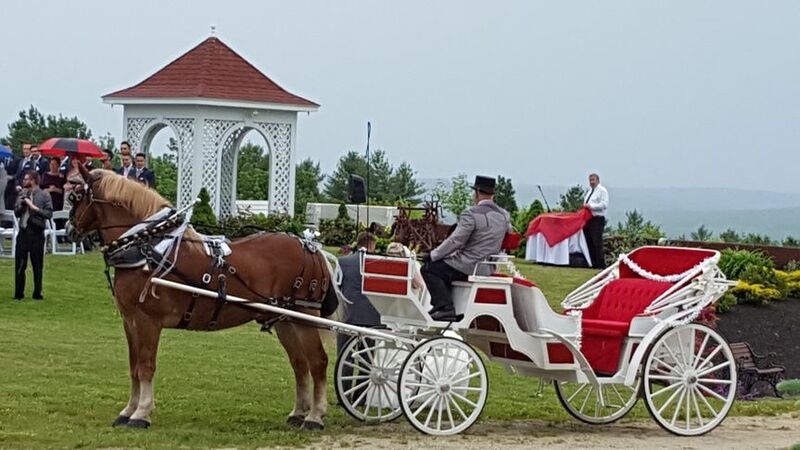 Same great, beautiful barn, flowers surround the gazebo, large manicured wedding lawn, Bridal Farm House, plenty of on-site parking with parking attendants, professional staff working with you the entire time, fully stocked cash bar and the most gorgeous sunsets! Photographing a wedding at the Maine Wedding Barn is a treat. The views, the staff, the dinner was spectacular!!! You will meet all of your needs in one place. The staff at the Barn were very courteous and helpful to each guest. 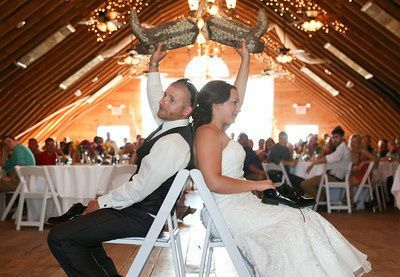 They keep a spotless venue, offer fantastic service with a smile and a unique view of Maine. Highly recommend this venue for any couple looking for something a little more special. Ally Portland Photo Co. 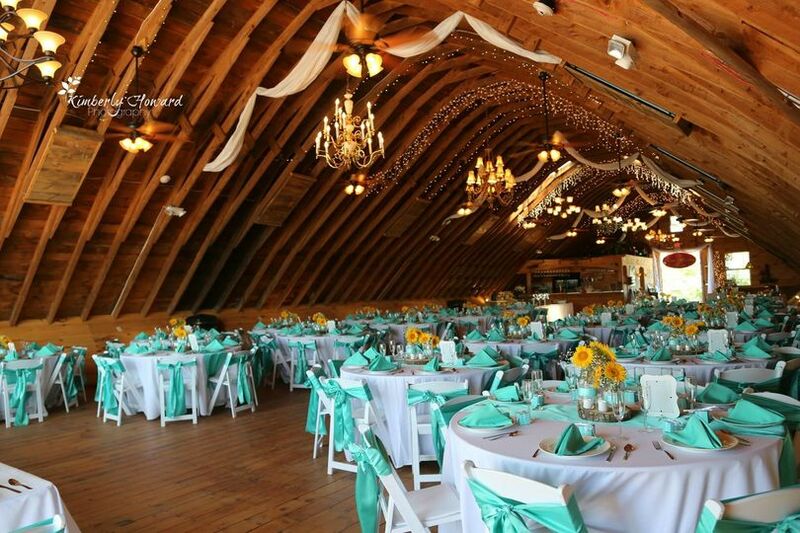 When we have brides who are looking for a barn or rustic wedding, the first place we always recommend is the Maine Wedding Barn, just a few minutes from downtown L/A. Barbara and her team will help you put on a memorable wedding.